Highland seafood exporters FAO27 continued a winning streak after picking up an award at the Highland Food and Drink Awards on Friday (24 October) in Inverness. The firm which operates as the sales export department for a number of local small scale seafood processors and fishing boats, took home the Food and Drink Business Growth Award. Based in the Black Isle and France, the firm sells whitefish, shellfish and farmed salmon from the North of Scotland to retailers, wholesalers, large fishmongers and independent stores across Europe. 100% of its produce is exported to markets in France, Italy, Belgium, Portugal and Luxembourg. Named after the grid reference for the North Sea fishing sector and standing for Freshness and Origin, 27 for Traceability, FAO27 was set up in 2009 by Managing Director Anne Moseley as a consultancy to help fishermen and processors export to Europe. It now has five members of staff. 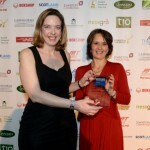 The Highland Food and Drink Awards continues a run of awards picked up by the company this year. 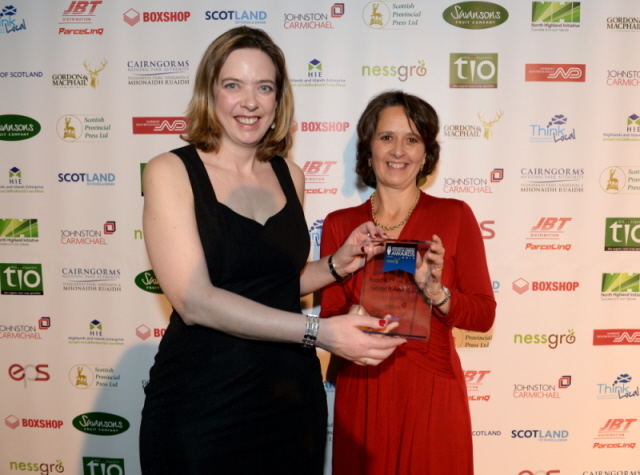 In September it beat Bestway, Britvic, Ramsden International and Typhoo to the award for top export company at the Food and Drink Federation Awards 2014 and was also named Export Business of the Year at the Scotland Food and Drink Excellence Awards in May.